On Fridays, Emmett and I try to make it to Mommy and Me Yoga at our local studio. It’s so dang cute and a really good workout for me because I’m doing yoga with a 20 pound baby! 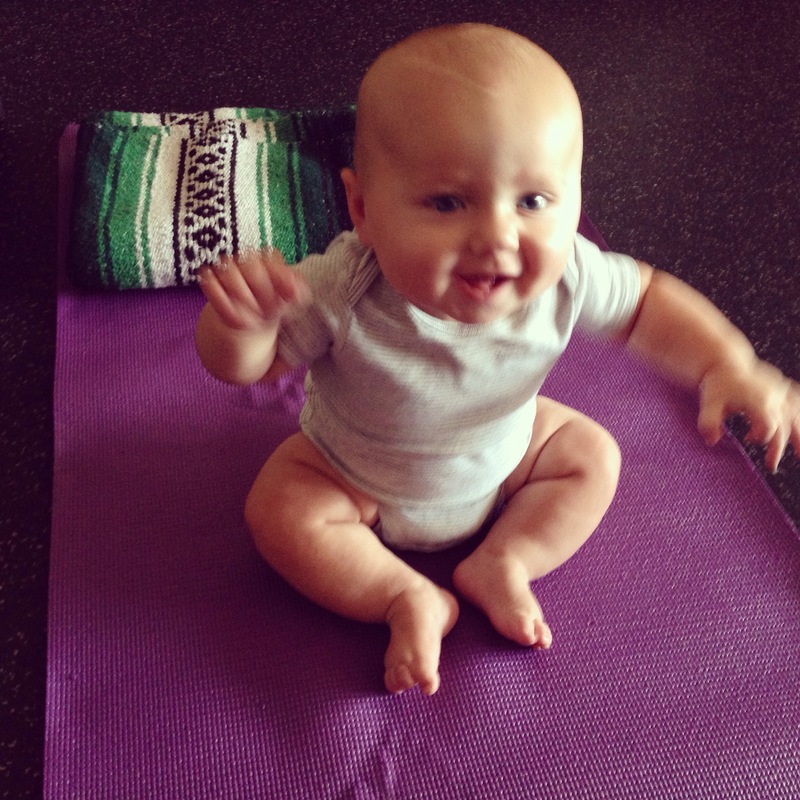 Emmett loved yoga this morning and was so smiley and giggly. Here he was just hanging out on the mat before class started.